Plymouth Roofing Company | Plymouth Roofing Quote | Plymouth Roof Company | Plymouth Roof QuoteMcGlinch & Sons CO.
Don’t get caught with unexpected roof repairs! McGlinch & Sons expert roofers can perform an onsite inspection and give you an accurate roofing quote today! Keeping an eye on your Plymouth roof because spotting potential problems early can save you money. McGlinch roofing company can save you money as well, and as a certified GAF master elite contractor, our professionals will install your GAF roof that will exceed your expectations in functionality as well as look terrific! McGlinch is committed to customer satisfaction from the initial roof quote to the finished project we want to earn your loyalty for all your future roofing company needs. In Wayne County, Michigan the city of Plymouth offers more than 50 recreation programs for all age groups and organizes major community events for its 9,000 plus residents. Providing the residents of Plymouth, the roofing repair and roof replacement they need at a price they can appreciate is the exceptional roofing company McGlinch in nearby Farmington Hills. It’s no surprise that the experts at McGlinch have the experience and skill to handle all residential roof repair jobs effectively and efficiently, regardless of the size. For over a century, we have been exceeding customer expectations by being the high performing roof company of choice. 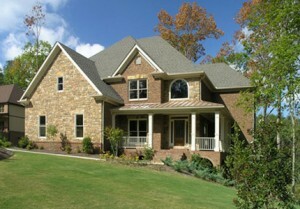 McGlinch is proud to carry the residential and commercial GAF roofing products that more builders and homeowners trust. A roof system is so much more than shingles when properly installed by a reputable roof company like McGlinch, and your roof will keep out moisture and cut your energy costs down. Not to mention the added value and enhanced curb appeal your Plymouth home will have! McGlinch understands quality that’s why we offer GAF roof services and roofing materials. A GAF roof protects more homes and businesses than any other. Contact McGlinch & Sons at (248) 987-6300 to see the difference GAF roofing makes!